- Next RNL Event is Saturday May 4th! 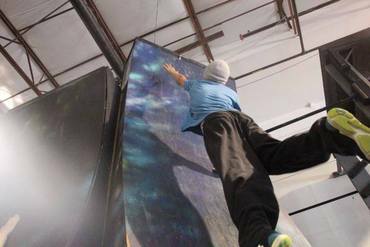 Our facility will offer classes in the discipline of parkour and the art of Obstacle Course Racing. Classes will be separated by age group and based on a curriculum already being utilized across the country in Ohio and New Jersey. ​Invite friends of all ages to celebrate your birthday by playing on fun obstacles and learning to run up walls! Test your skill against the nation's top athletes in National Ninja League Competitions. Or meet and learn from some of the nations best at our Pro Weekend Seminar. MLAB will offer events year round so sign up to stay in touch!